Sometimes being a reviewer is fun. Other times you have a lot of devices in front of you and you struggle to decide on what to hit first. One of the good times was way back when the LG G4 was released. Somehow (well, I know how) I ended up with 2 of the devices to keep and spread the good word about. I really did love the G4. The leather back, the great camera. Wasn't as sold on the slight curvature, but still, I think it was the best LG had brought out and before I go a week with the G6 I stand by it. Over time I handed one of the devices over to a friend (as I had moved on to other, newer flagships) and my wife continually rocked hers. She loved it too. Despite there being a lot of discussion of bootloops out there, I kinda dug my head in the sand about it. I would get comments on the site anytime I mentioned the LG brand about the situations with issues... I would always reply "you know, I can't complain, hasn't happened to me ..."
My friend messaged me on a Sunday saying his phone just bricked. I tried to walk him through it over the phone but it just would not go past the logo screen. I scratched my head and he said he might take it into a repair shop. He had had it for a while and who knows what might have caused it. Then Tuesday morning it happened to my wife's. Too much of a coincidence. So I did some research and debated about trying the heating trick. But I was a little upset now. 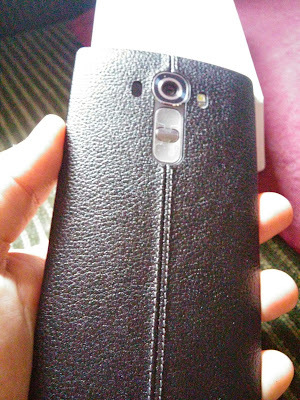 I eventually called LG's customer support and discussed with them. I know that in the US, LG had been making good on any boot loop issues with the device, even after the warranty expired. Turns out they're doing the same in Canada. I was able to get them to set up to take in both phones (and they paid the shipping) to do a repair (essentially they'll replace the motherboard). Now, this is only if, when they open it up, there's no physical damage to it. So, now I wait. In a while, I'll get the device back. My wife has already moved on to the Moto Z Play so the G4 will become my Roam Mobility device when I travel. Which I'm cool with. I really did like that phone. Now, it has me a little gun shy on LG. I can't believe I'm playing into that fear, but there it is. I'll be paying close attention to the class action lawsuit against LG in the US and see what comes out.